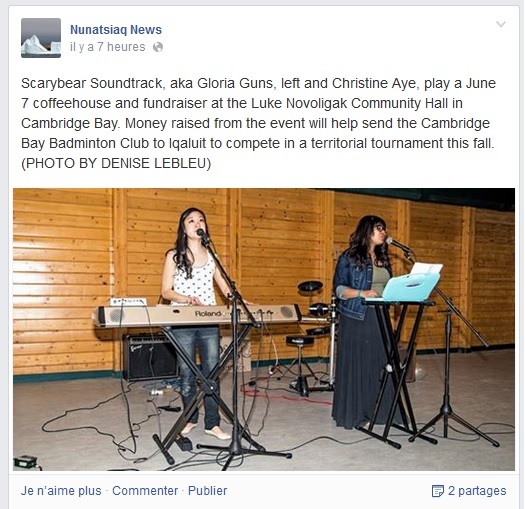 Our show last Saturday made it to both the Nunatsiaq News and the Nunavut News/North newspaper! 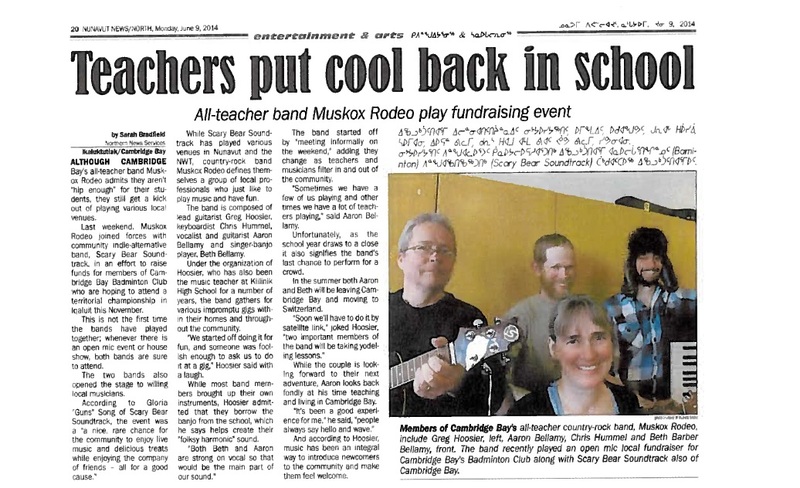 We especially love the media coverage that was given to our friends Muskox Rodeo, who played the last show that they’ll be playing with their current members before some of them move to Switzerland!). We’ll miss you guys! 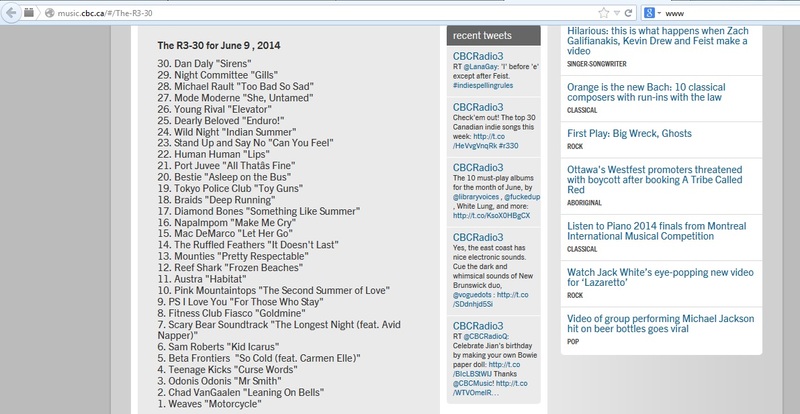 We’re also excited that our song with Avid Napper “The Longest Night” stayed on CBC Radio 3’s R3-30 Countdown for Canada’s top indie songs of the week for the third week in a row. This week we’re #7! Remember to keep voting for us so we stay on the charts. 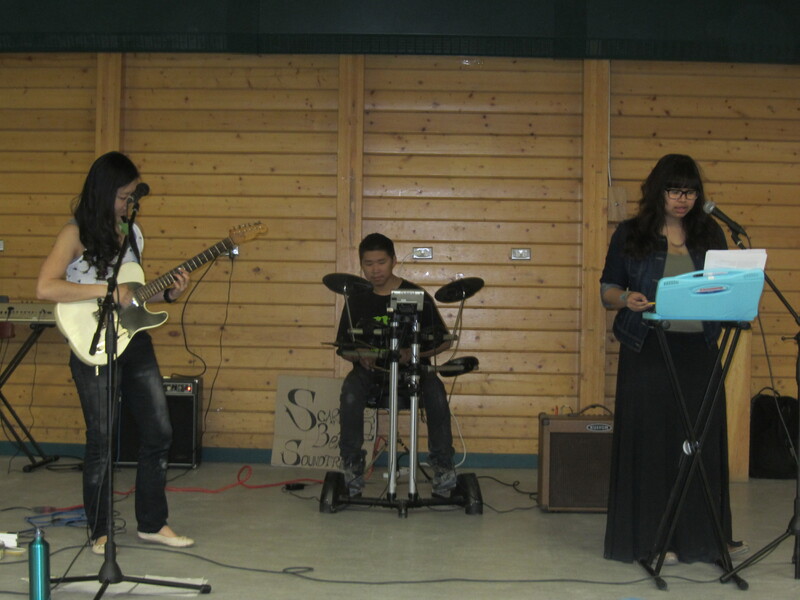 Thank you so much to everyone who came and supported us at the coffeehouse fundraiser on Saturday. We had a fantastic time. 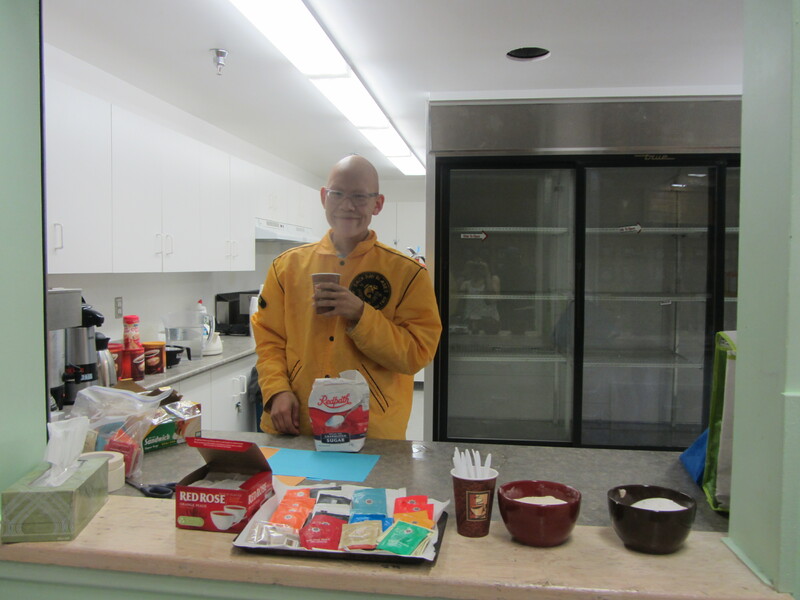 We had so many kind souls who volunteered their baking skills for the bake sale portion of the fundraiser. We were so touched by everyone’s generosity. My house was out of running water that morning so I went for the full messy rock star look. 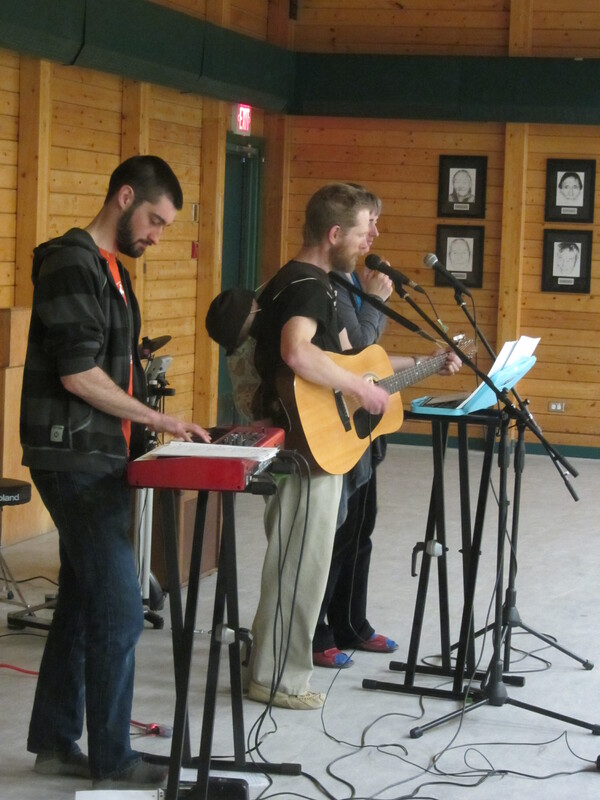 We performed with a guest drummer, Nathan Ekpak Gray, who had just partied at his grad dance the night before, but managed to get to the show the next morning for his very first performance. 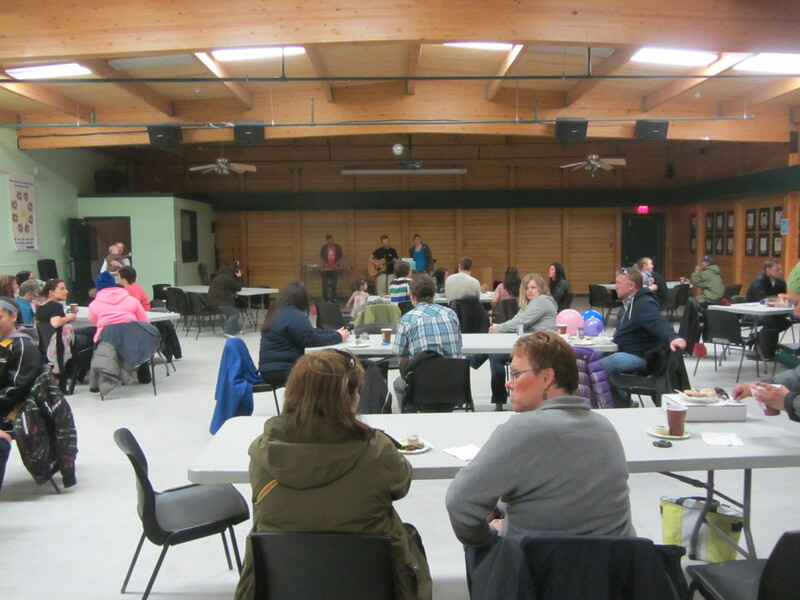 There was a great turn out. Even though the weather outside was gorgeous, lots of folks stopped by. We rocked until our bra straps popped. 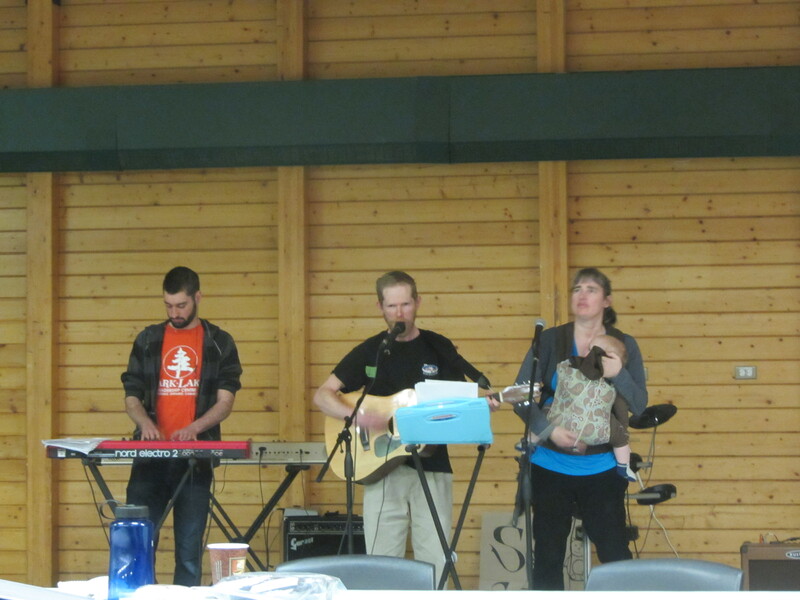 We also loved Muskox Rodeo’s performance, who performed part of their set with their baby on stage. Talk about a baby-rocking time. We raised a bunch of money for the badminton team. On the way home, the potholes in the road beat my amp up way worse than any rock show. 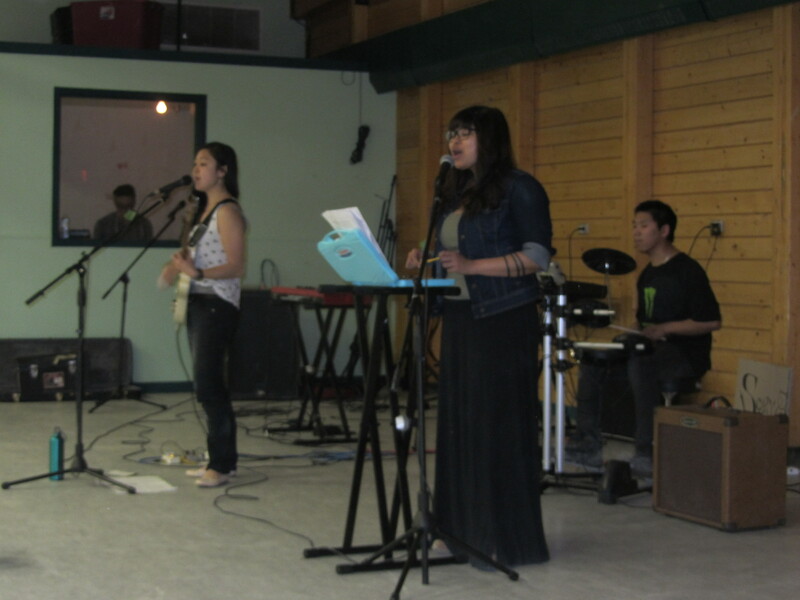 Thanks again, Cambridge Bay! You sure know how to make us feel special. 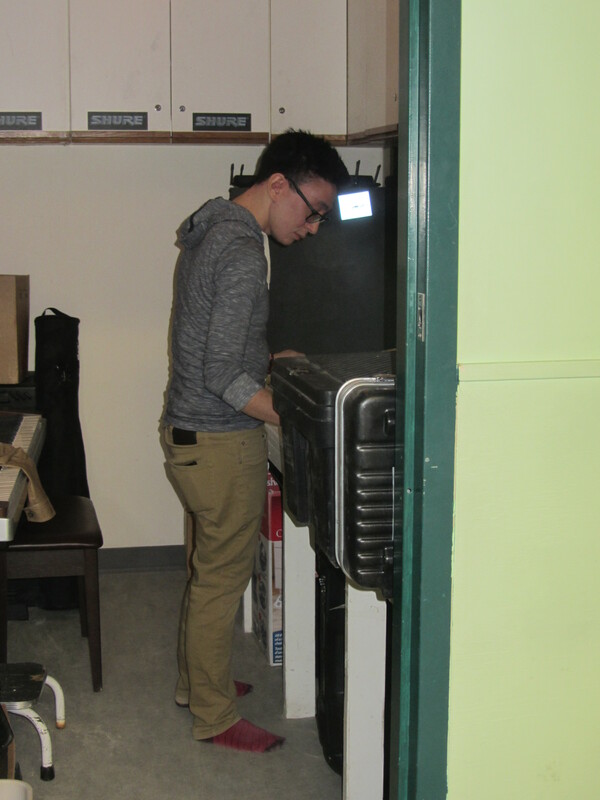 Huge thank you to Mason for being our sound guy! Cambridge Bay! 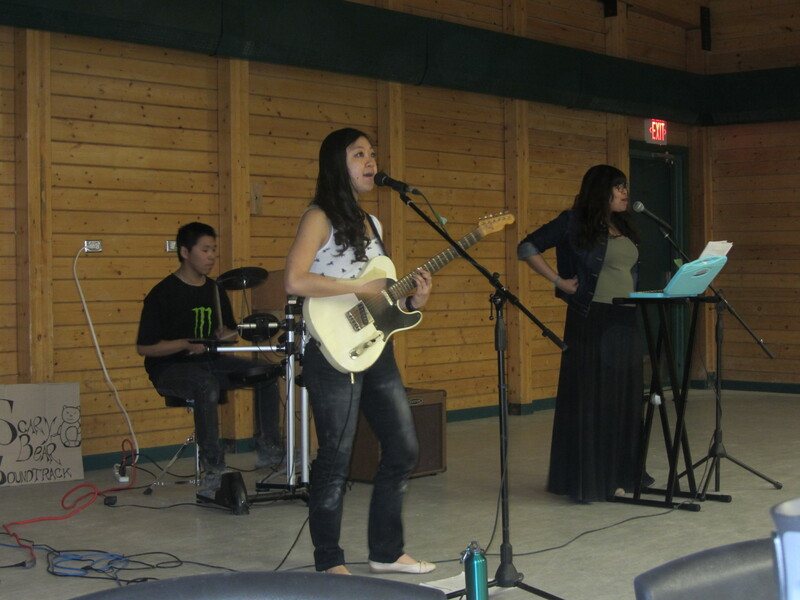 We’ll be performing at the coffeehouse fundraiser this Saturday in support of the local badminton club. See you there at the Luke Novoligak Community Hall at 1PM! 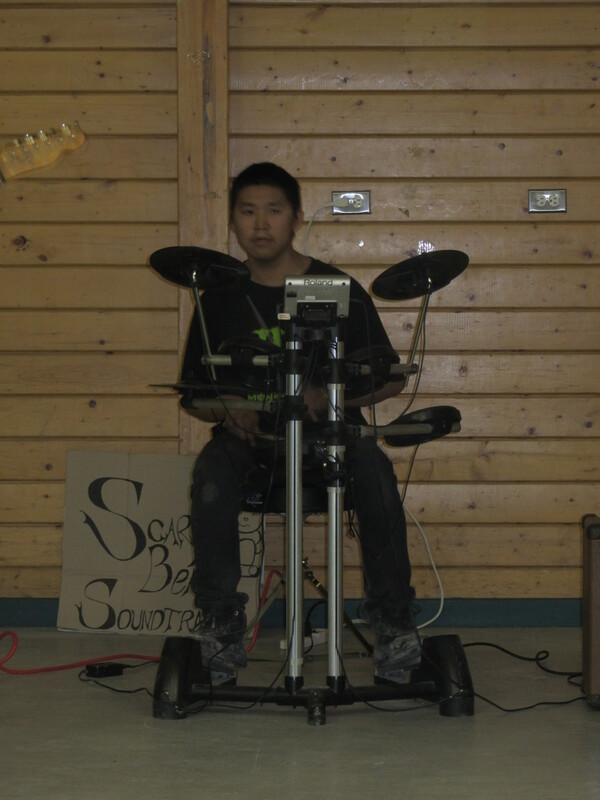 We’ll be featuring a new guest drummer, Cam Bay’s very own Nathan Ekpak Grey! We’re also so excited to hear that our song The Longest Night has made it to the R3-30 Countdown of Canada’s top indie songs for the second week in a row. Thanks, guys! We’re really feeling the love here. And remember you can keep voting for us here.